While looking for a hotel in Hanoi, I read that the place to stay in Hanoi to truly get the best experience is the Old Quarter. True enough, staying in the midst of it all was the best part of the trip. Serving as the center of the city, just a few meters walk away from the beautiful Hoàn Kiếm Lake, and housing the best restaurants the city has to offer is the Old Quarter. Tucked in one of the streets therein is Spring Flower Hotel. Both on TripAdvisor and Agoda, the reviews were fantastic and the rates per night were incredibly reasonable, which made me ultimately decide to stay in this hotel. Coming from the airport where the private transfer service arranged by the hotel for us was waiting, we arrived late in the evening and were greeted by the staff, each of which was absolutely welcoming. 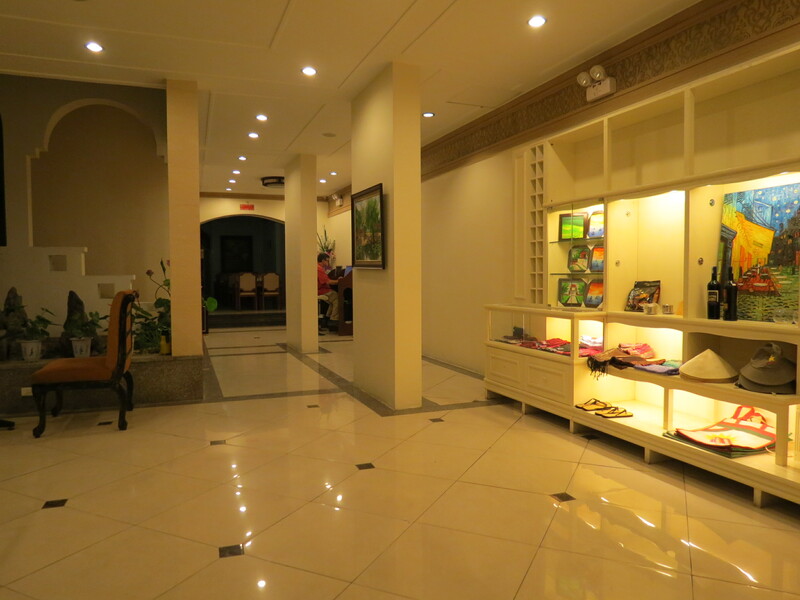 As you enter, you’ll see that for a small, local hotel, the lobby is spacious and well-kept. 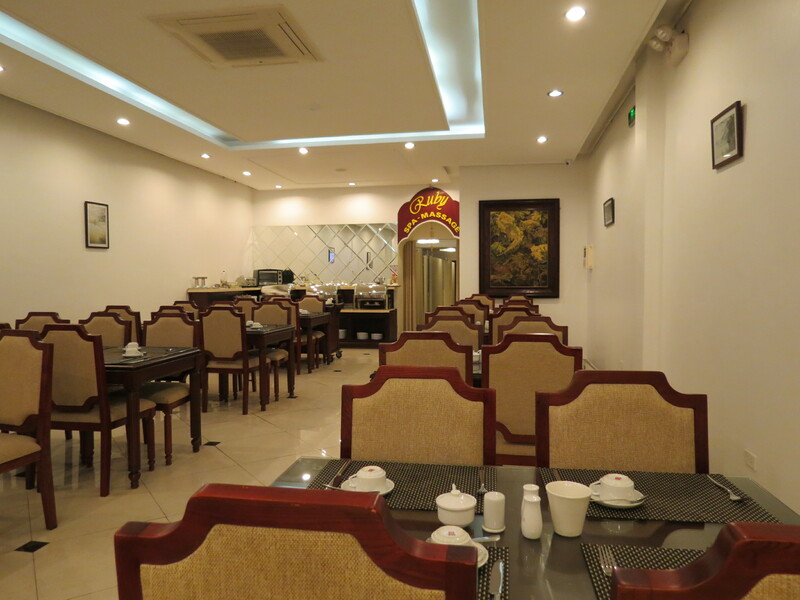 At the same level as the lobby is the dining area, where they offer daily buffet breakfast. Though I did not get the chance to take photos of the spread, the offering was simple, yet delightful. The spread was composed of sausages, bacon, stir fried rice/noodles, an omelette station, a variety of fruits, a dessert selection, two choices of fruit juices, salad, and cold cuts (ie. ham). I’m not sure if I’m missing out on anything else though. Take note that I forgot to take photos of the room we stayed in before messing it up, so I asked if I could take photos of an unoccupied room and the staff willingly agreed. 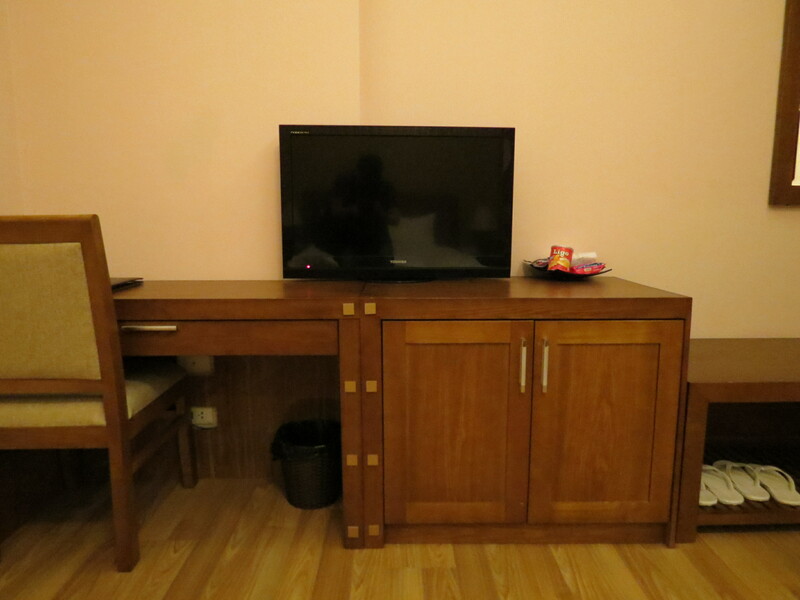 The room we had was a bit bigger than the one in the following photos and had two double beds. 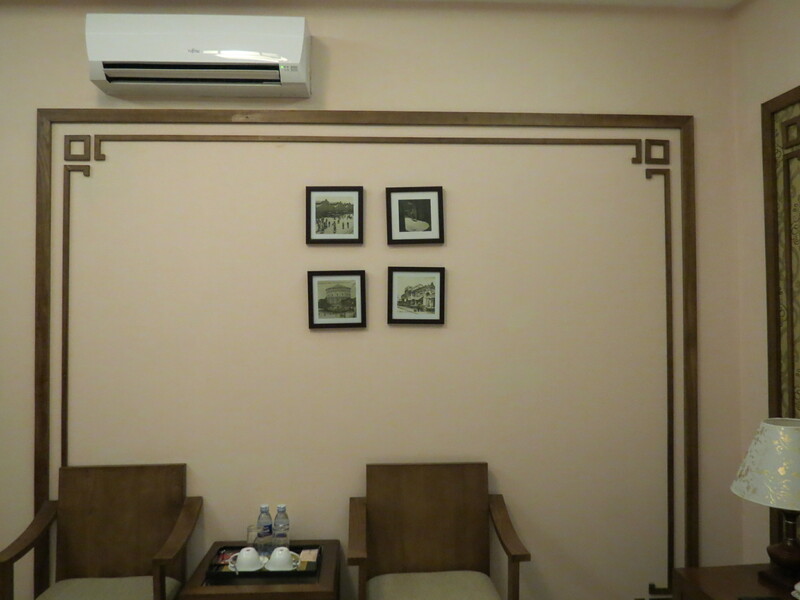 As seen, the decorations are simple, yet pleasing to the eyes, with black and white photos of the city decorated throughout giving character to the room. 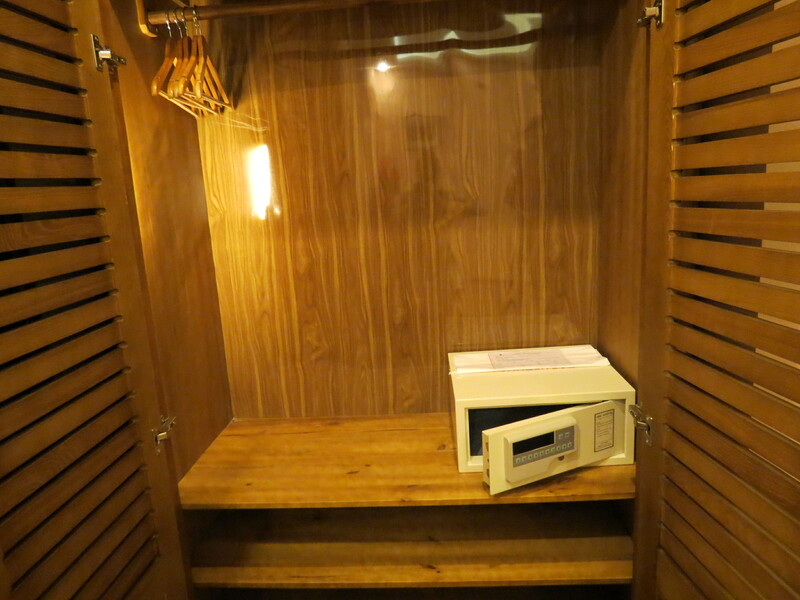 The amenities were complete, with a safe in the closet to keep your valuables in. Our bathroom had a bathtub, which I later asked about. 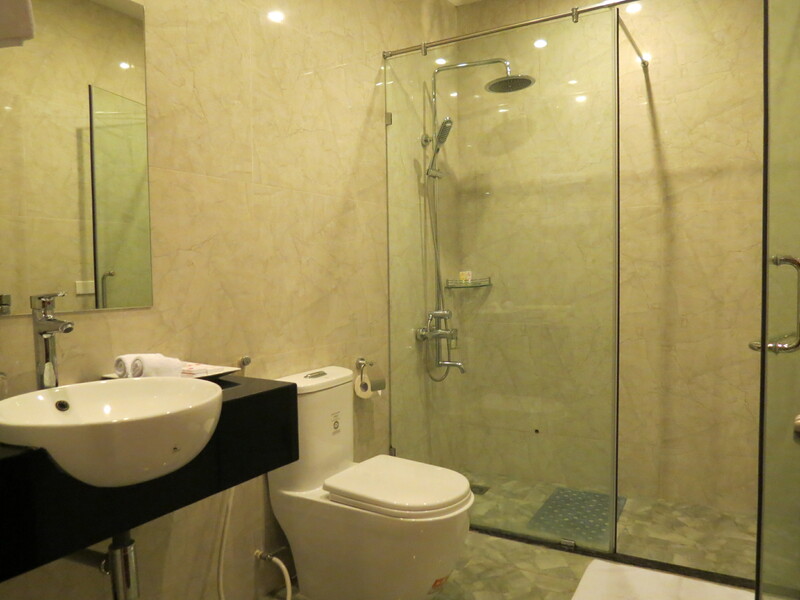 Apparently, they built the hotel in such a way where half of the bathrooms have bathtubs, while the other half have showers, depending on the preference of the guest. 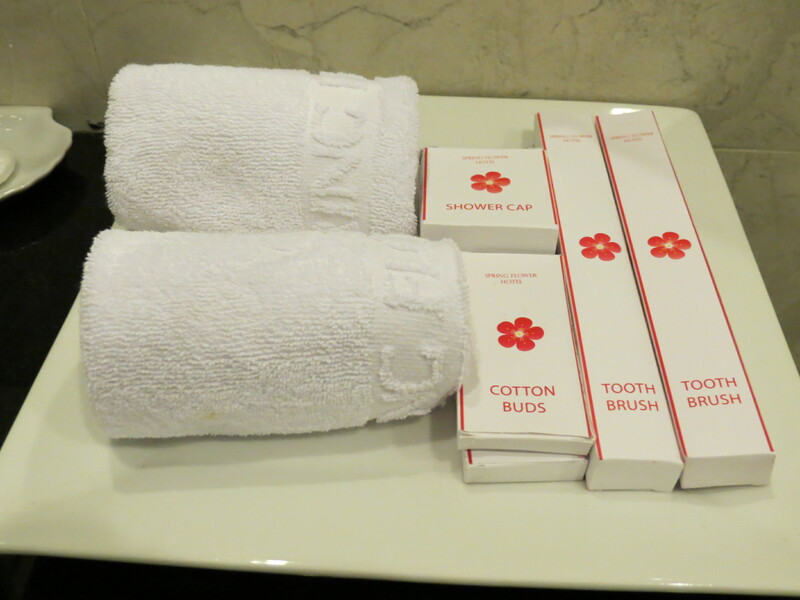 Their toiletries were complete too, though I wished they had lotion. There is free WiFi throughout the whole hotel (from the rooms, the hallways, the dining area, etc.) and it is completely reliable and fast, so you need not worry about staying in touch with friends back home. There are also two computers on the ground floor, which guests can freely use, right by their small little souvenir shop. Let me reiterate that it was the service that made our stay top-notch, as the staff went out of their way to assist us. 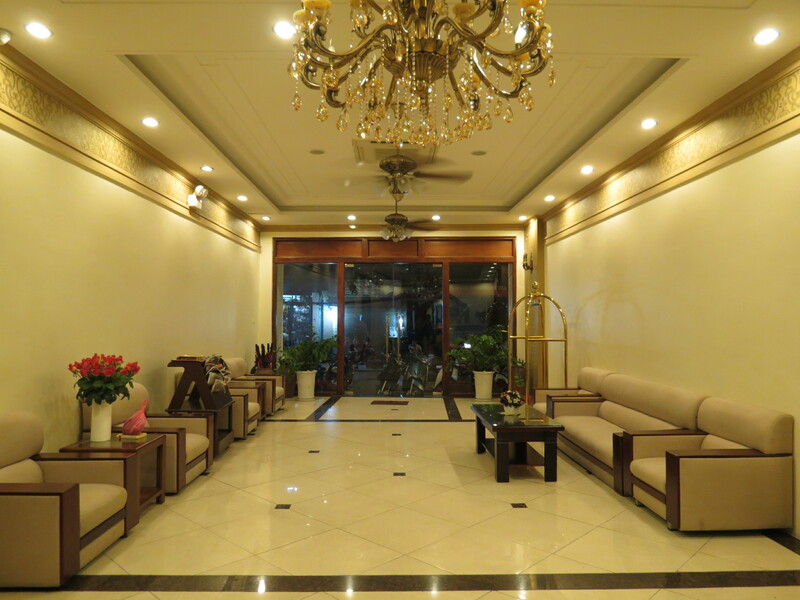 I highly commend Tuan, Phu, Thuc, and Huong (and of course, the rest of the staff who I unfortunately did not get the names of) for the fantastic service; they will surely give you a memorable stay should you decide to stay in this hotel. Since it was my Dad’s birthday weekend, they even surprised him on the night of his birthday when they knocked on our hotel room door and started singing happy birthday with a cake at hand. With service like that, what more could you ask for? 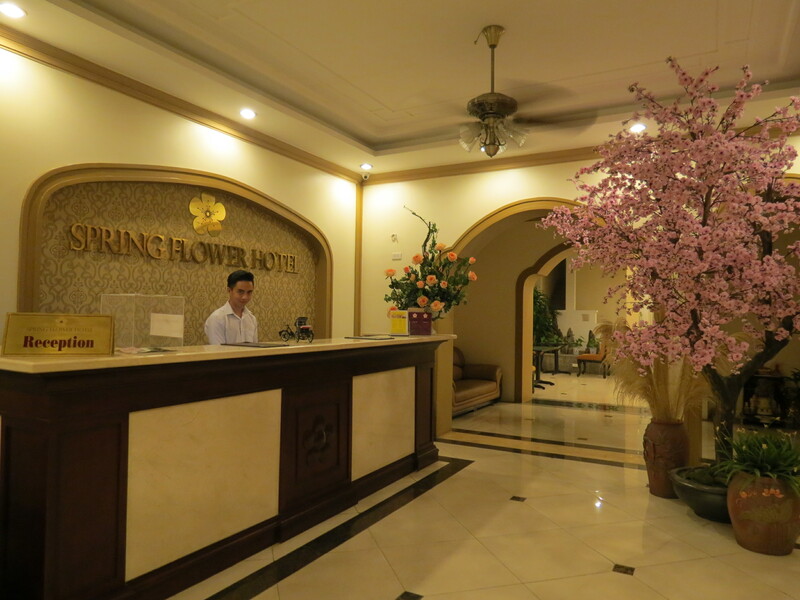 All in all, Spring Flower Hotel is definitely one of the best places to stay in Hanoi. 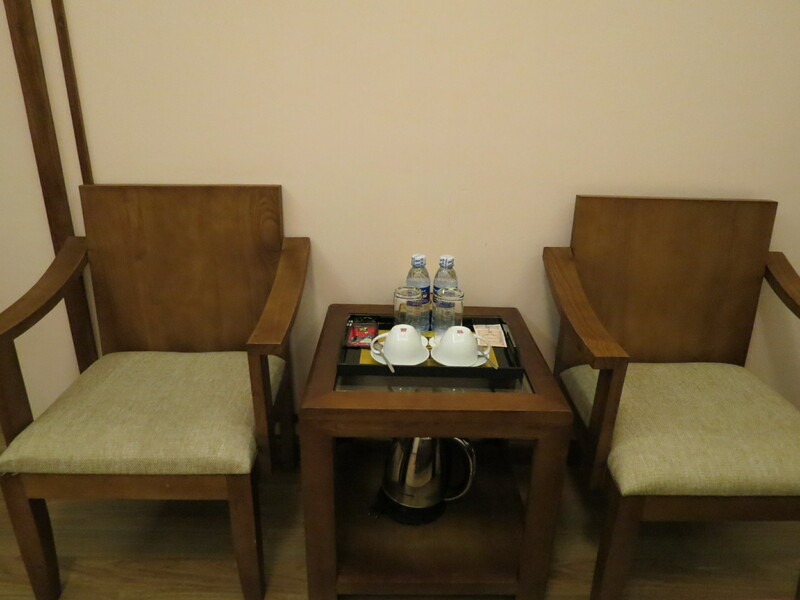 The hotel is also just over a year old, so everything is new and immaculately clean. The service is impeccable as well, as the staff willingly attends to all your needs. They never fail to offer up their service with a smile too! 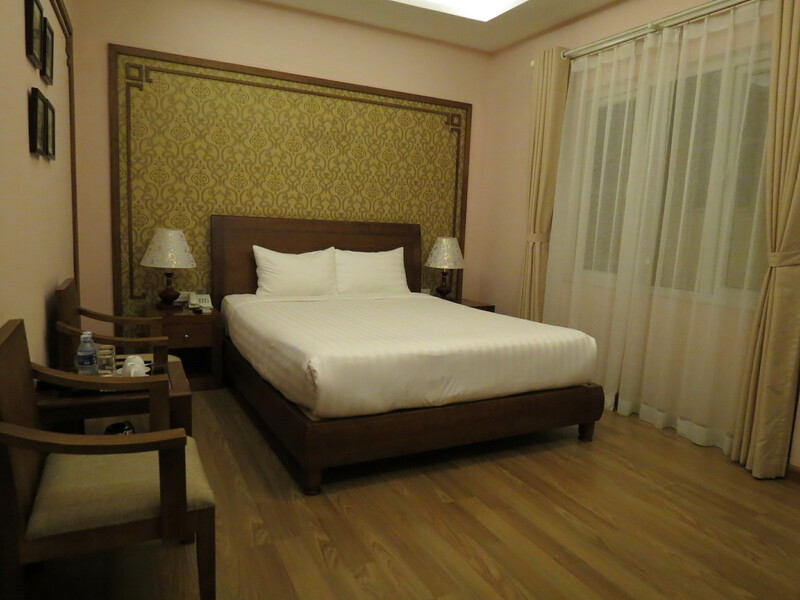 The location is perfect, as it is just less than a two-minute walk from the night market, which is open on weekends, and a less-than-ten-minute walk to Hoàn Kiếm Lake and the restaurants. 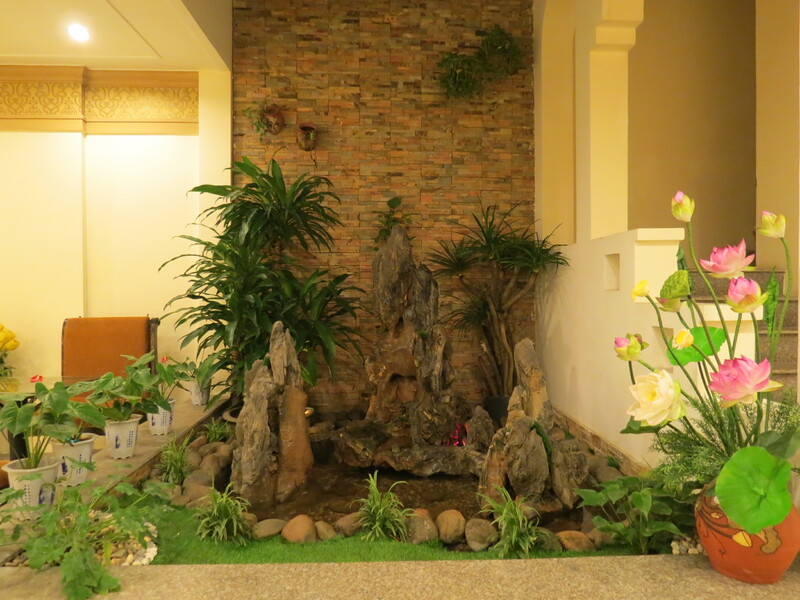 There are also money changers beside the hotel with reasonable rates, so you need not worry about not having VND. 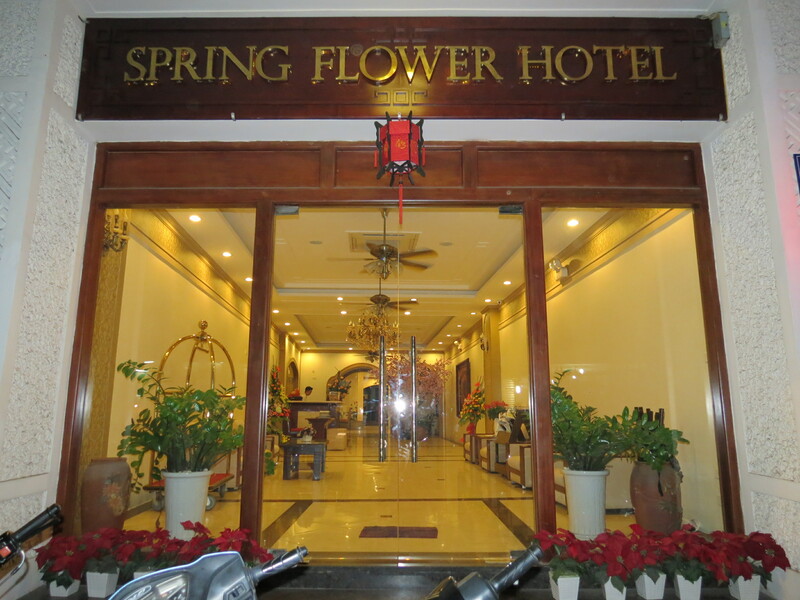 If you ever find yourself in Hanoi, do stay in Spring Flower Hotel Hanoi. 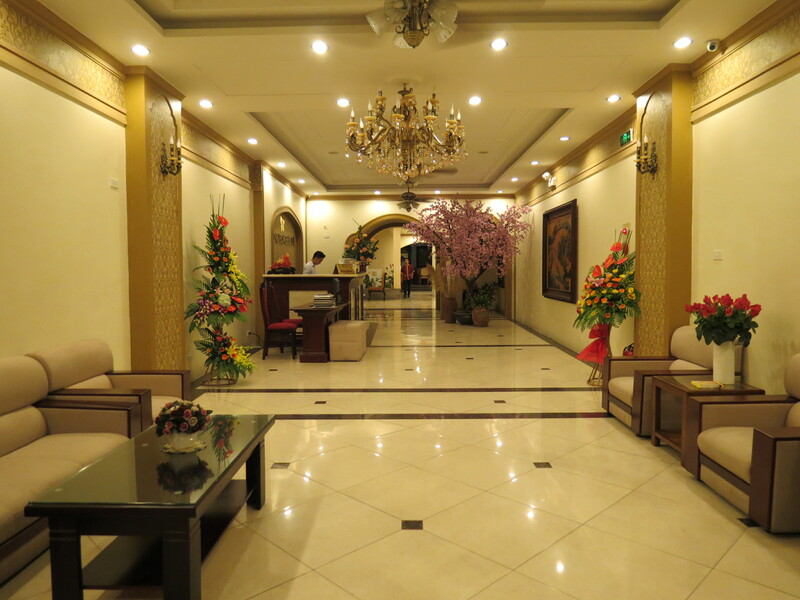 Not only do I recommend this hotel, but if ever I get the chance to go back, I would definitely stay in Spring Flower Hotel Hanoi again.